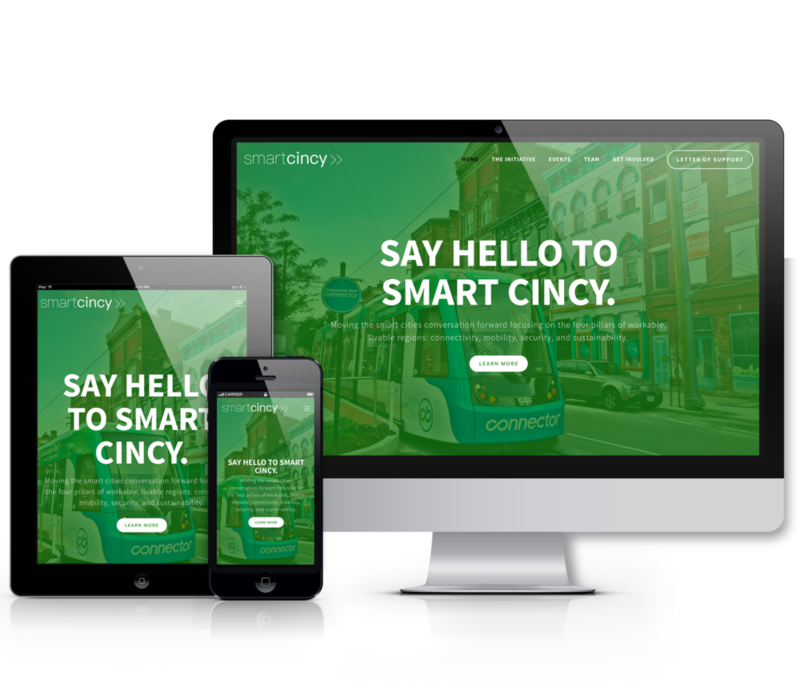 Smart Cincy — Malik Media | Branding. Marketing Strategy. Design. Smart Cincy is a Cincinnati-based initiative that aligns regional government and private stakeholders mobilizing technology working to create cities that are more livable, workable, attractive to talent, and friendly to business. Their organization approached us prior to their inaugural Smart Cincy Summit, in need of a brand identity that accurately and creatively reflects their mission and goals. Having nothing to start with, their team gave us the creative freedom to build their brand from the ground up. Knowing that their organization is quickly expanding into other cities, they wanted branding assets that could easily be replicated and replaced with different cities such as "Smart Indy," "Smart NYC," or "Smart Cbus." Knowing that Smart Cincy plans to expand into other cities, we designed a logo and brand identity that is bold and impactful, yet simple enough that it can easily be adapted to fit any other city by replacing the "Cincy" ending and switching out the city skyline with that of a different city.